Drawing on the close relationship between office layout and employee interaction, Forbo Flooring Systems has launched a new carpet tile collection that reflects the trend towards connectivity: Tessera Nexus. With growing interest in the way physical spaces influence workers’ ability to collaborate, office design is increasingly emphasising informal environments that encourage effective communication. 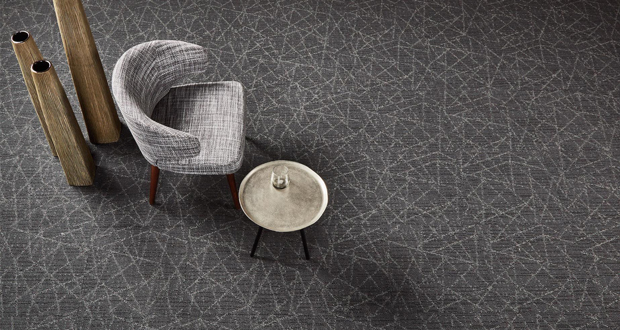 Product development has followed suit and the new Tessera Nexus collection has been conceived as a flexible tool to help unite multi-purpose spaces into one interconnected whole. 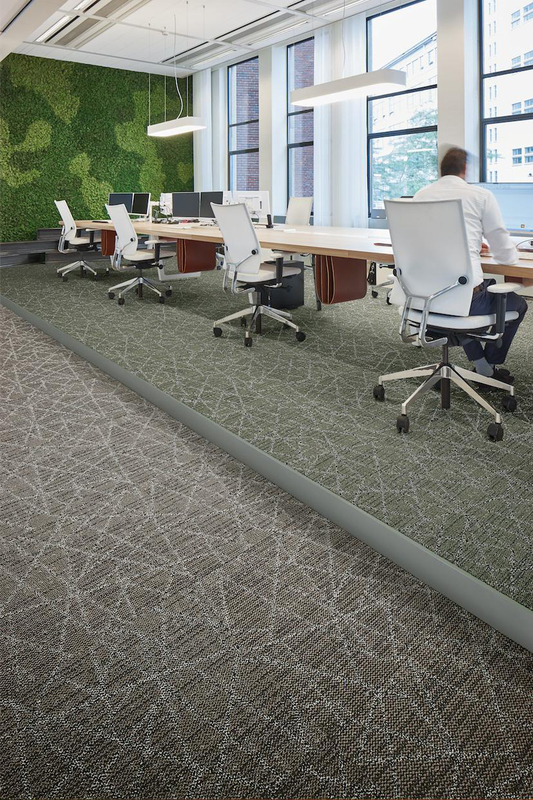 Featuring a subtle linear base overlaid with a soft kinetic silhouette, Tessera Nexus is a refreshing alternative to the organic styling which currently dominates the carpet tile market – which, in itself, reflects the changing focus of the workplace. Drawing together simple colours, elements and tones, the collection gives designers the freedom to create connections across the interior – subtly linking spaces for quiet reflection or group collaboration. The tile’s striking graphic design is picked out using the metallic Invista Antron Lumena carpet fibre from the ‘Reflect’ palette, which stresses the importance of light and how it interacts within spaces. This luxury sheen and modern, fluid texture delivers a softer, less corporate aesthetic, which blurs the boundaries of formal and informal design even further. 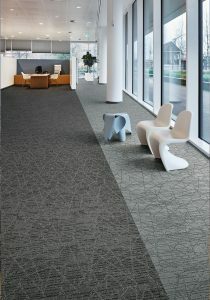 David Breen, Product Manager – Carpet Tiles and Needle Felt at Forbo Flooring Systems, comments: “As businesses continue to evolve their office design towards less-structured and more collaborative formats that encourage connection and communication, we wanted to create a new collection that softens the distinction between work and life. 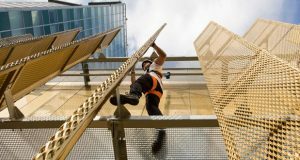 We, therefore, started to think about business connections both formal and informal; structured and unstructured. This in turn led to the idea of a multi-layered visual, with interconnecting lines running throughout the design. Tiles are available in nine colourways ranging from classic neutral, to more on-trend light and dark hues. 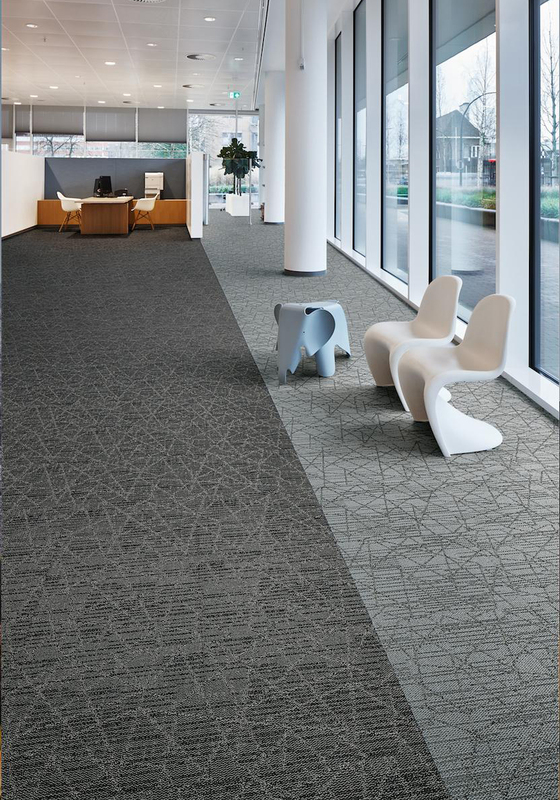 The multi-height loop carpet tile range can be installed alongside a variety of Forbo’s other floor coverings, such as its Tessera Layout and Allura Flex LVT, to develop integrated flooring schemes that are fit for purpose.